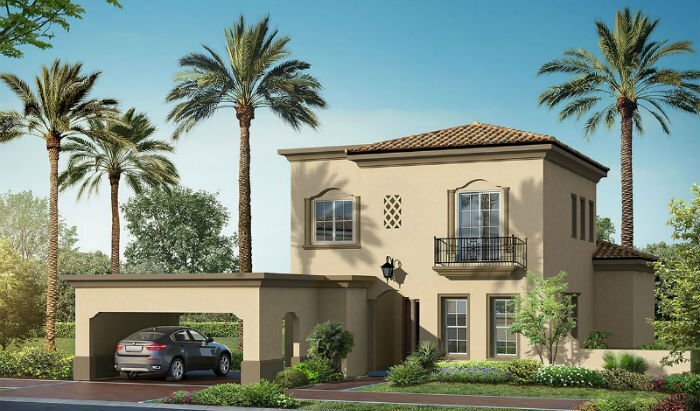 The Spanish-themed villas will form part of the Arabian Ranches extension plan. Dubai developer Emaar has announced the launch of Lila, a Spanish themed-villa community, in Dubai’s Arabian Ranches development. Lila is the newest addition to the Arabian Ranches extension, and will feature 219 villas in five different types, ranging from three to five-bedrooms, each with private plots for gardens and outdoor decks. The villas are designed with low-pitched terracotta tiled roofs, overhanging eaves and wrought iron trimming, the company said in a statement. In terms of lifestyle offerings, Lila will include a central residents’ club featuring a gymnasium, a geometric pool with cabanas, an indoor running track, beauty salon and spa. The development will also feature parks, squash and tennis courts, a football pitch, walkways and cycling paths, specialty dining options, a medical clinic, daycare centre, schools and a grocery store. Residents will also have access to the Arabian Ranches Golf Club, an 18-hole, par 72 signature course for polo and equestrian activities. Late last year, Emaar had launched Palma and Rosa – both Spanish themed villa communities – as part of the Arabian Ranches extension plan. The developer had also unveiled CASA, a Moroccan style villa development, in late 2012. “The launch of Lila follows the successful response to other recent additions to Arabian Ranches including CASA, Palma and Rosa,” the statement said. Emaar will launch simultaneous sales for Lila in Dubai and Abu Dhabi on January 11, 2014, with pre-registration commencing on January 8, at 10am, on its website. The Dubai developer had a stellar 2013, launching a slew of new projects and reporting high revenues and increased sales. Last month, Emaar signed a memorandum of understanding (MoU) with Dubai World Central (DWC) to build a mega golf course and urban centre development within the aerotropolis. The project is the “first of the key infrastructure development projects” to be announced following the UAE’s successful World Expo 2020 bid, said Emaar. The new development will be spread across 13.63 million square metres with the first phase to include a golf-course villa community, several hotels, a high-end shopping mall, leisure attractions, and a business hub.